These are great times indeed for anyone who wants music all through their home. Multiroom audio systems used to cost a small fortune -- and some still do -- but now there are all sorts of options that deliver multiroom sound at prices most people can pretty easily afford. One of the most affordable and practical I've seen is the OEM Systems IW-SYS3, which lists for $399 but sells for less than $300 from a variety of Internet merchants. The IW-SYS3 is an all-in-one-unit that flush-mounts into a wall. It looks sort of like a big car stereo. The 17.8-inch-wide component contains amplification to power as many as eight pairs of speakers. 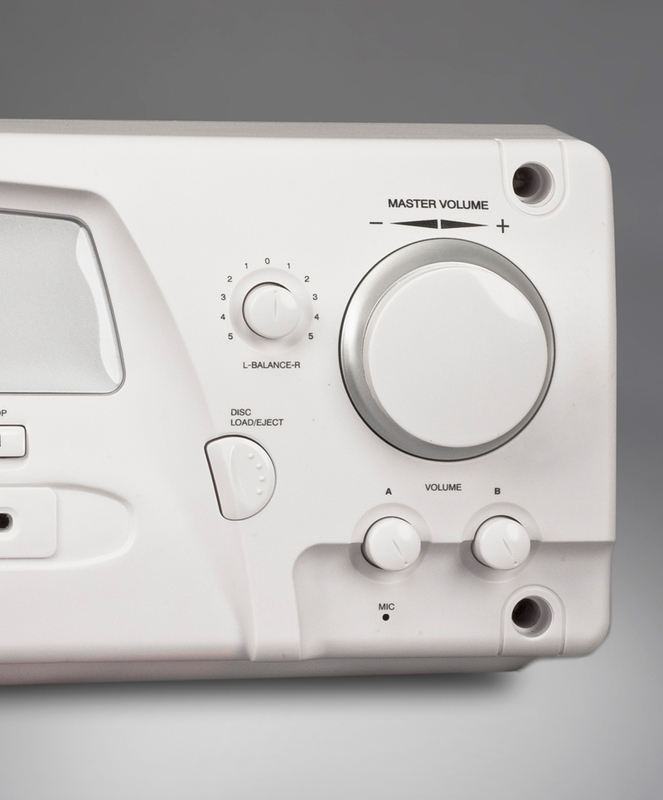 It also contains several audio sources of its own: a CD player, an AM/FM tuner and a USB input that plays tunes stored on USB sticks. There's also an auxiliary input you can use to connect a Bluetooth adapter, an iPhone/iPad/iPod dock, or whatever other audio source suits your fancy. 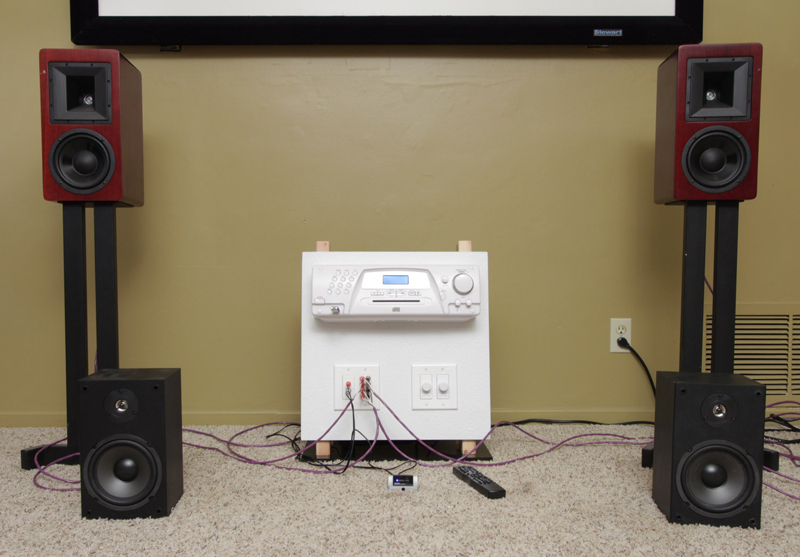 The speakers are run in two groups (A and B), and there are separate volume controls for the two groups. 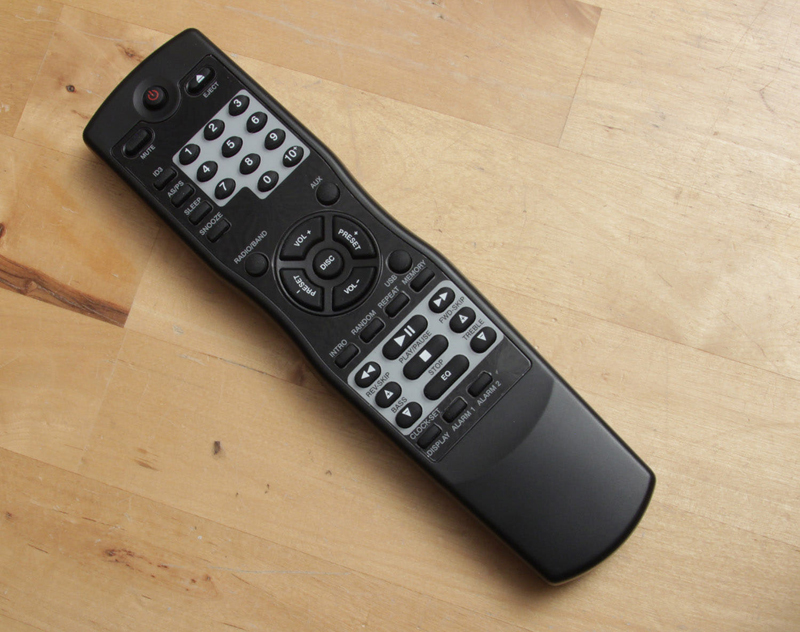 If you want separate volume control for every zone/room, you could add your own in-wall volume controls. There's even paging built in: Press the Page button, talk into the microphone mounted in the front of the unit, and your voice will play in speaker group B. What kind of speakers do you use with the IW-SYS3? Pretty much anything you want. Could be in-wall speakers, in-ceiling speakers, outdoor speakers, bookshelf speakers, or whatever suits your space and your taste. I expect the IW-SYS3 will be all the music system many people will want. Still, that's an awful lot of stuff built into a very compact component, so I wondered how easy it would be to use and how well it might perform. Let's find out. OEM Systems supplied my review unit pre-mounted into a tiny ersatz wall panel so I didn't actually have to install it. Installation looks pretty simple (and I say that as a veteran of installing countless pairs of in-wall and in-ceiling speakers plus my own five-zone multiroom system with in-wall keypads). The works of the IW-SYS3 fit between the studs in a standard 16-inch-on-center stud bay. You cut a hole in the drywall between the studs, slip the IW-SYS3 in, and secure it with four screws. You'll have to run power to it from inside the wall; you can probably just parallel it with the nearest AC outlet, because the additional load presented by the IW-SYS3 is minimal. And of course, you'll have to run speaker cables through the wall. Most people will have to hire an electrician to do this job. 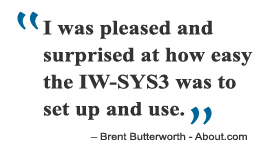 I was pleased and surprised at how easy the IW-SYS3 was to set up and use. Anyone who's used a few car stereos and/or A/V receivers can probably handle it without the manual. I got everything working fine just by taking educated guesses at how to do it. But if you need it, the unit comes with an excellent manual and quick-start guide. One little plus is that the radio presets can be auto-programmed: Press the Auto Seek/Program Scan button for 2 seconds and it'll automatically find the 30 strongest FM and 30 strongest AM stations and save them as presets. The one slight complaint I had is that there's no way to browse the content on a USB stick. You can skip tracks forward or back, but that's it. The IW-SYS3 just plays 'em in whatever order they're on the stick. I connected the demo system OEM Systems sent to two pairs of speakers. First and foremost was a pair of Hsu Research HB-1 MK2 bookshelf speakers, my longtime test speaker for affordable audio electronics (they're the ones on the stands in the picture). These I connected to the group A output. Second, I used a pair of Dayton Audio's ultra-inexpensive B652bookshelf speakers -- not for serious listening, just to confirm operation for the group B output. Given how low the IW-SYS3's rated amplifier output is, I was pleasantly surprised -- actually, a little shocked -- to hear how good it sounded. 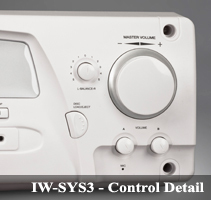 Unlike almost all of the audio electronics I've encountered, the IW-SYS3 delivers undistorted sound at maximum volume. Crank it full blast and there's no audible distortion. The Hsu HB-1 MK2 is a medium-sensitivity speaker, rated at 92 dB half-space sensitivity and measured by me at 86 dB quasi-anechoic sensitivity (half-space measurements boost volume by +6 dB, so my measurement confirms Hsu's). With my usual max volume test -- running Mötley Crüe's "Kickstart My Heart" full blast and measuring the output during the first verse at a distance of 1 meter from the speaker -- I got 92 dB, which isn't real loud, but plenty enough to fill a room. And the fact that the sound was totally clean, instead of strained the way it is through most wireless speakers, made cranking the IW-SYS3 up all the way a very pleasing thing to do. The sound quality you hear will be determined mainly by the speakers you use. Use some nice, inexpensive bookshelf speakers or a decent set of in-walls (with the drywall braced and the wall cavity stuffed with fiberglass) and I expect you'll be quite pleased with the sound. Of course, you can use in-ceiling speakers, but that gets you more into a background music kind of vibe. The source devices built into the IW-SYS3 all worked fine. The AM/FM tuner delivered very good selectivity despite being attached to freebie antennas flopped on my listening room floor. The CD and USB audio are just plug'n'play, there's very little to say about them. Different people have different needs in a multiroom audio system. Some people want fancy keypads, lots of power, and integration with home automation systems -- nice, but you're getting into thousands of dollars before you even start adding speakers. Some people want the simple, DIY installation you get with AirPlay or Sonos wireless systems -- nice, but you have to control them from a smartphone, tablet or computer, and many people just want to put in a CD or turn on the radio and get sound without having to fuss with external devices. 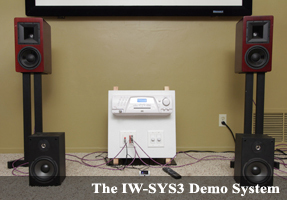 For the people who want a simple system that'll play sound in several rooms and operate much the same way as the other audio components they've used through the years, the IW-SYS3 is a great and very, very affordable solution.